Sushmita Sen's Daughter Renee And Rumoured Boyfriend Rohman Shawl Practice Singing Together. Seen Video Yet? Sushmita Sen recently treated her Instafam to a video of her elder daughter Renee practicing singing with Rohman Shawl, whom the actress is reportedly dating. 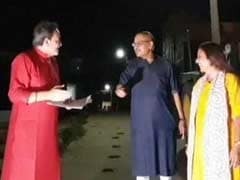 In the riyaaz video, Renee and Rohman are seen singing Yeh Moh Moh Ke Dhaage from Dum Laga Ke Haisha and their voices will truly touch your heart. The other video is of Sushmita singing Aaj Jaane Ki Zid Na Karo. "Music is a vibration of happiness. To witness Renee & her guruji do their riyaaz is just magical. And guruji on his part, makes sure everyone sings. So, Rohman Shawl (who already sings beautifully) and yours truly also share in the happiness," read an excerpt from Sushmita's post. 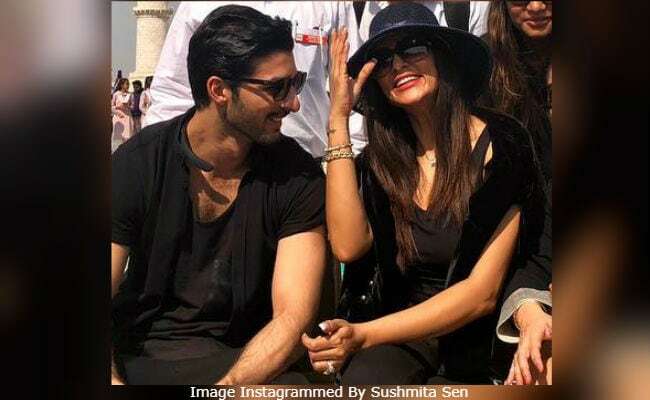 Sushmita Sen, 42, and Rohman Shawl, reportedly 27, trended big time last week after she shared pictures with him from their visit to the Taj Mahal in Agra. 'Friends', 'team' and 'the love of life,' were some of the hashtags used by Sushmita for her post. In the picture, Sushmita and Rohman can be seen twinning in black. Before their trip to Agra, the rumoured couple were spotted at the airport and cheerfully waved at the paparazzi, after which the gossip columns started writing about them.